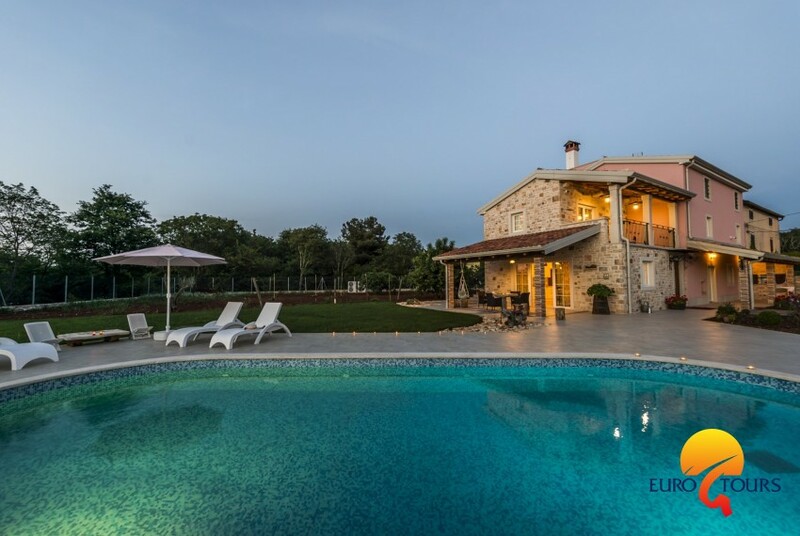 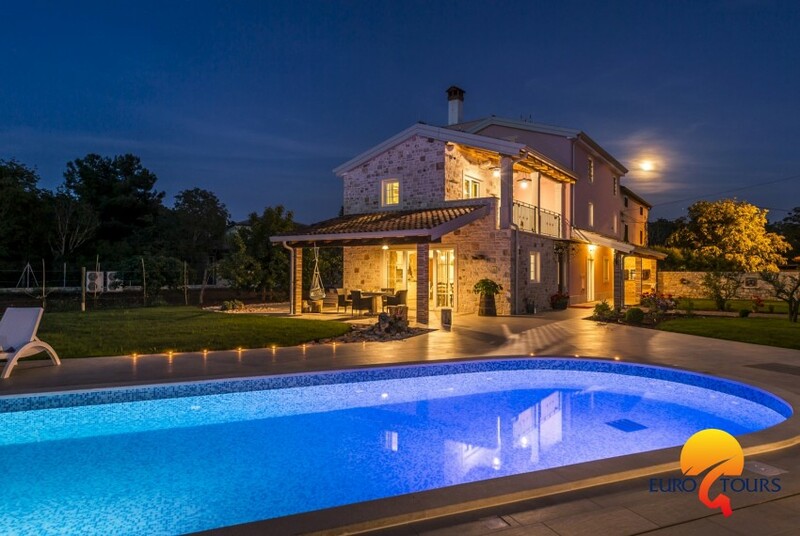 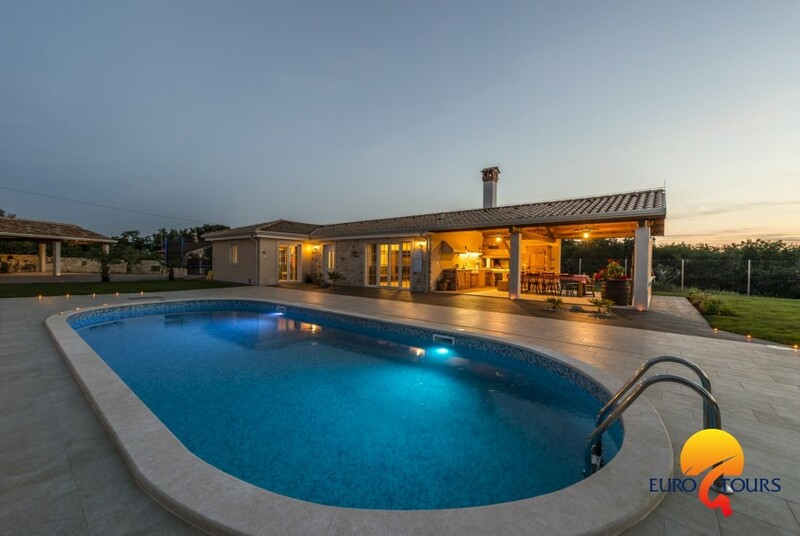 Located nearby the town of Umag and only 1 km from the sea, amidst olive groves, vineyards and forests, the villa is a top-class holiday house. 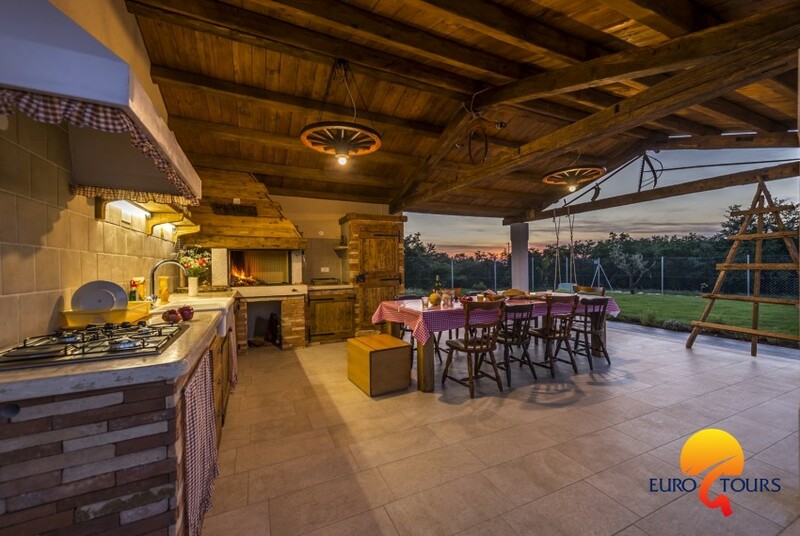 The magical nature surrounding it will give you the peace you need and arouse your emotions. 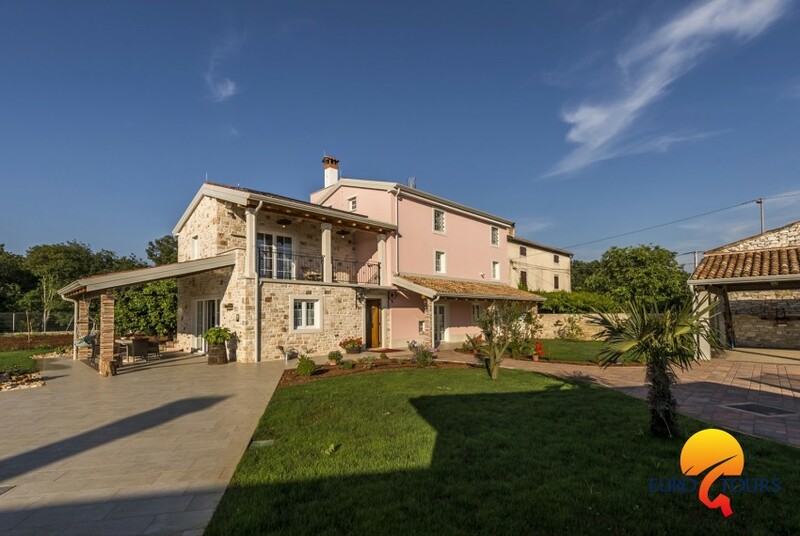 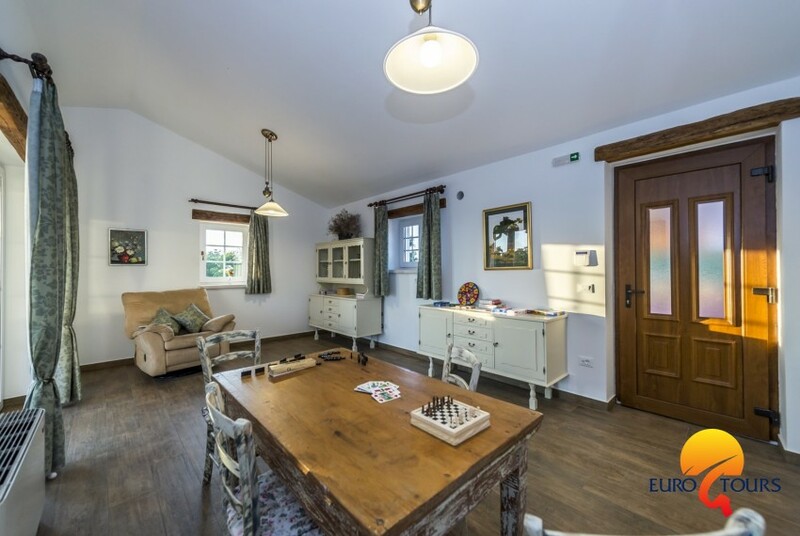 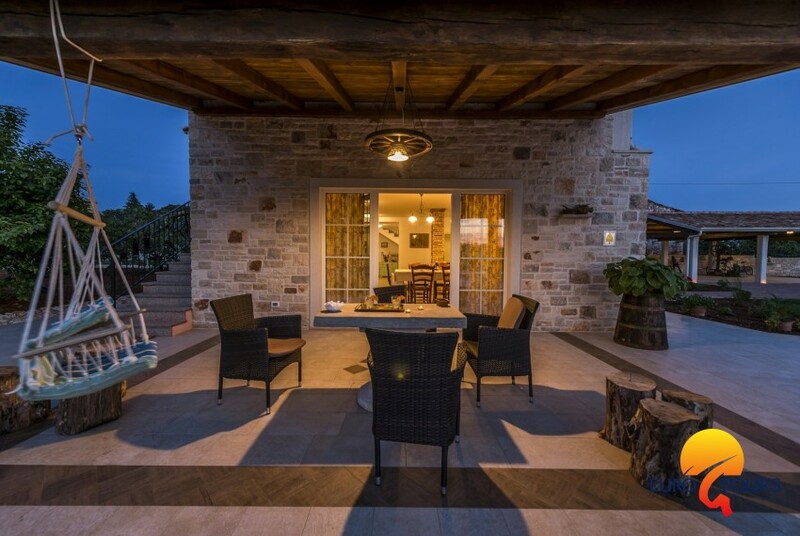 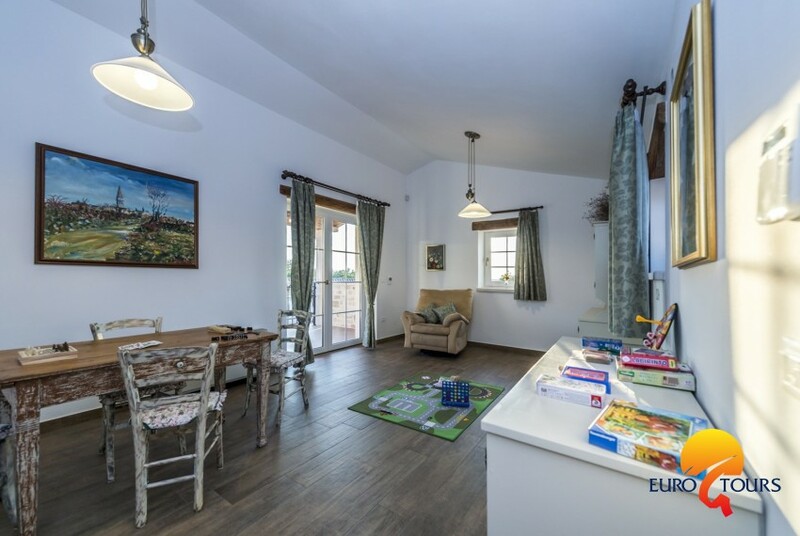 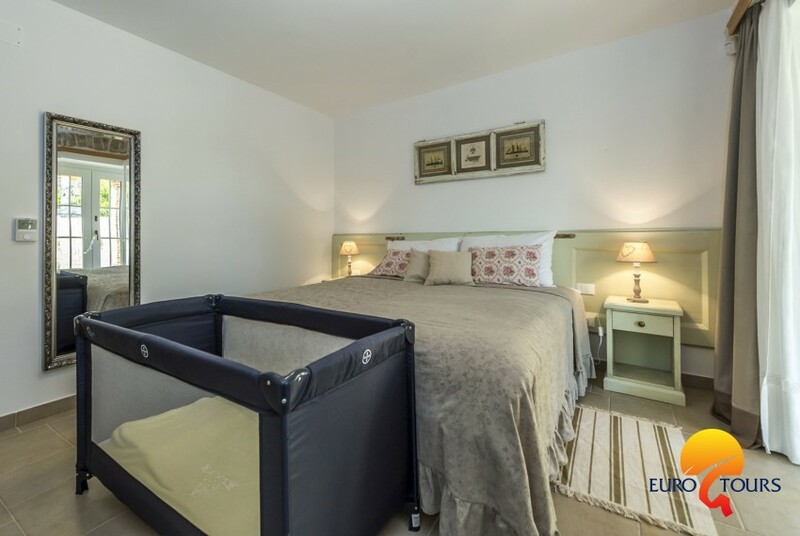 Villa Lemaliante was built as a typical Istrian house with 5 bedrooms, 5 bathrooms, a kitchen, a living room and a hobby room. 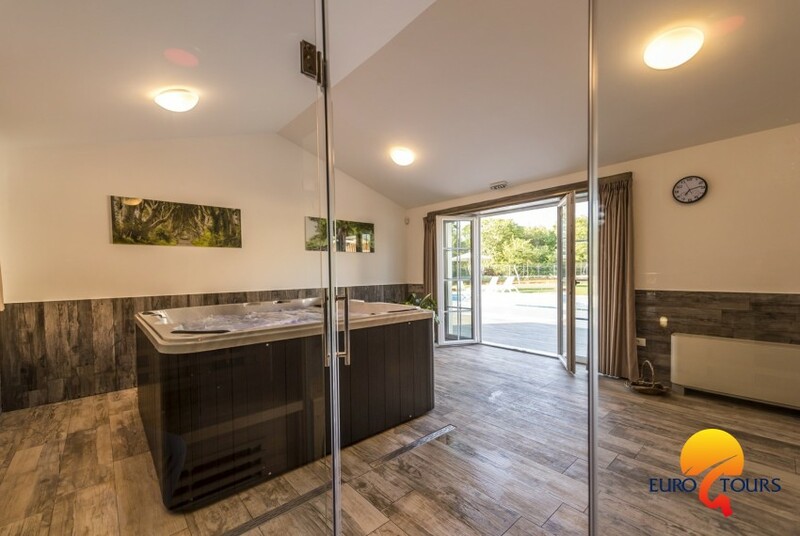 The amenities also include a wellness area with a whirlpool, sauna, fitness and relaxation room. 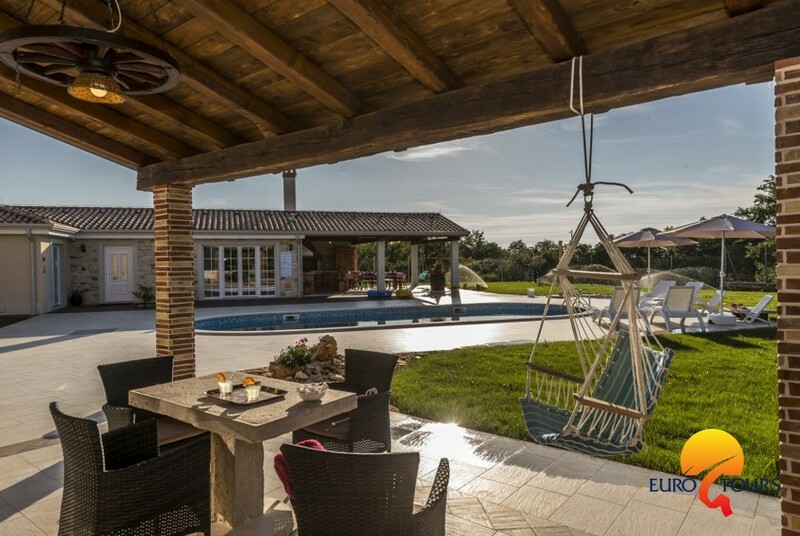 You can enjoy a outdoor swimming pool of 42 m2, an outdoor kitchen with a fireplace, a covered parking lot and a spacious outdoor area of 2600 m2. 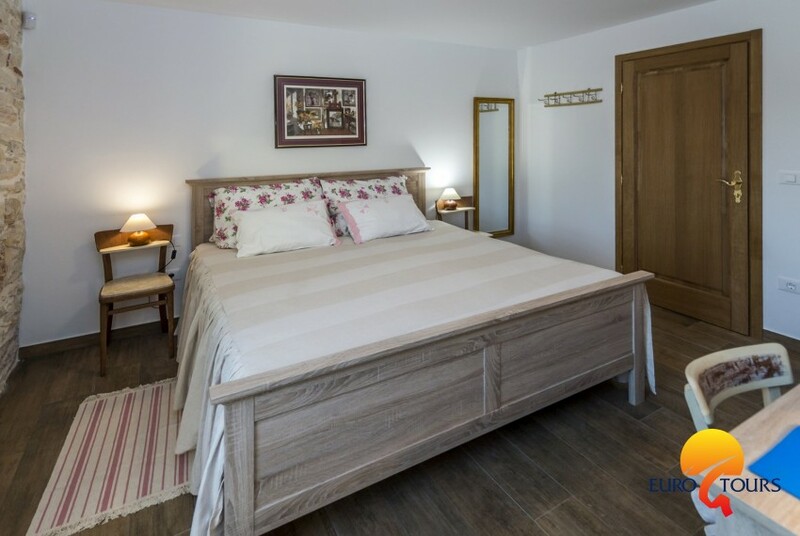 The estate has been enclosed for privacy and since there are no architectural barriers, it is also ideal for persons with disabilities. 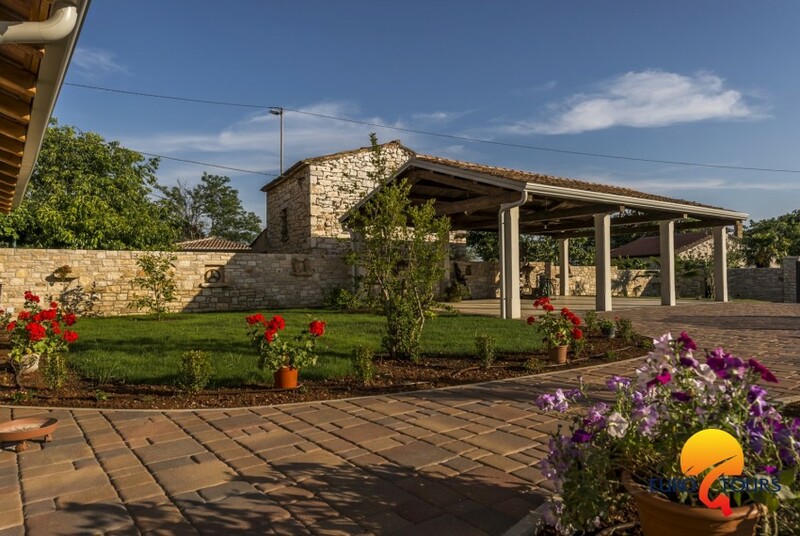 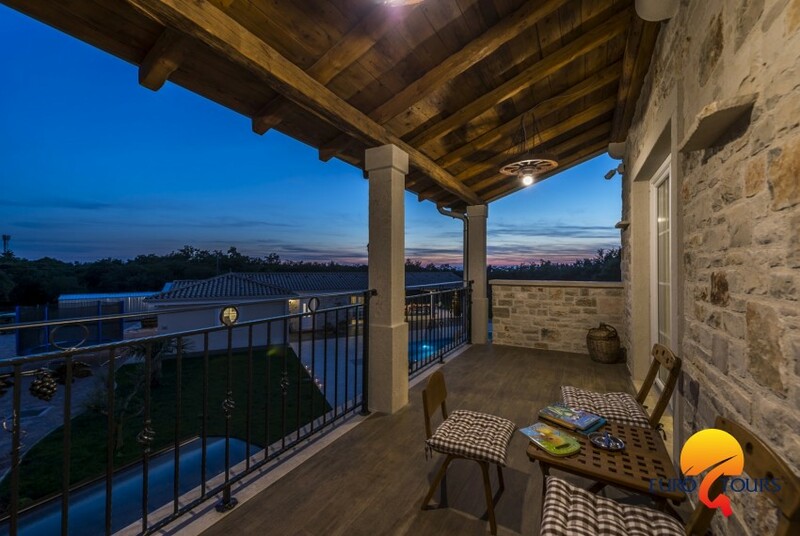 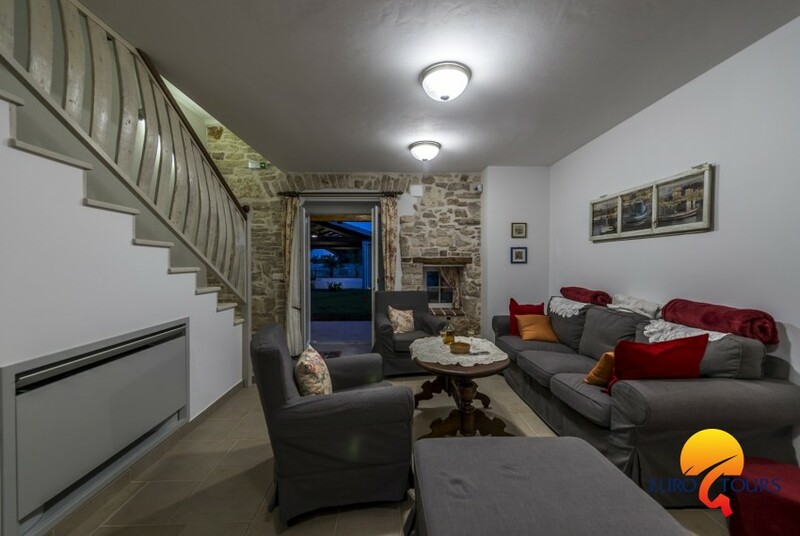 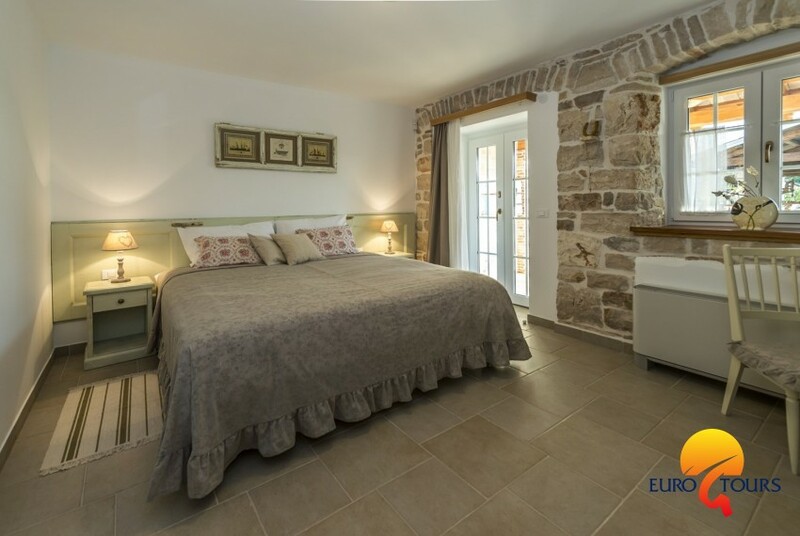 As the old Istrian stone house was being reconstructed, the most important task was to preserve and use the original materials and items, thus giving it with a fresh look yet keeping the allure of the old times. 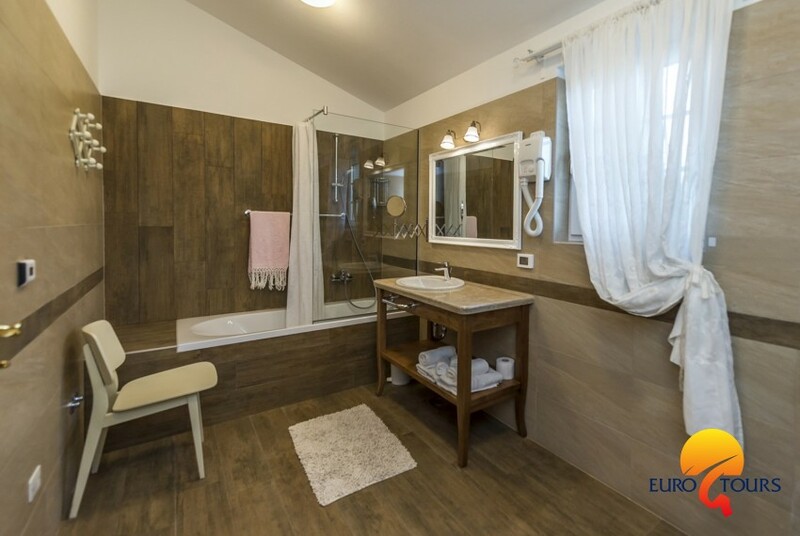 All the facilities are air-conditioned and heated via energy efficient and renewable energy sources. 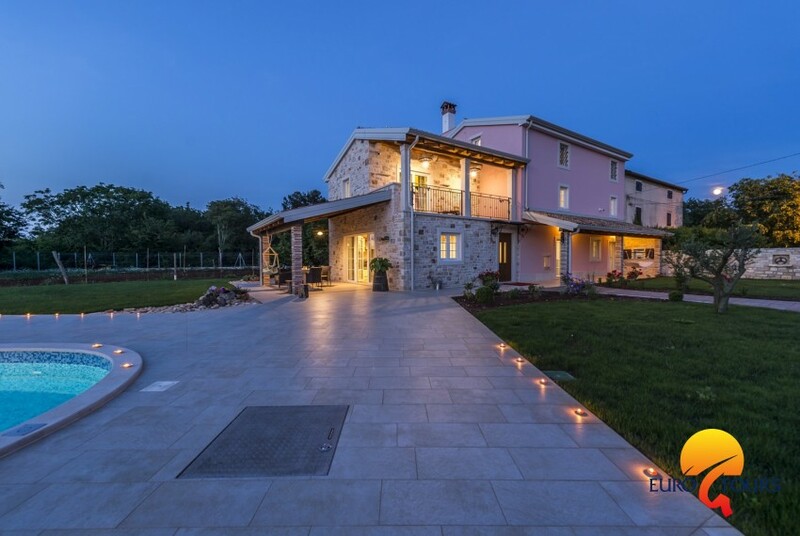 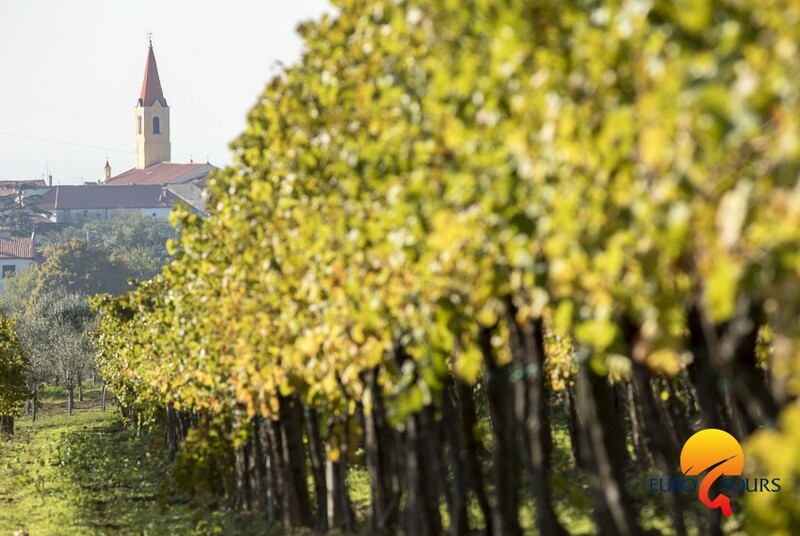 The reconstruction was co-financed by the Ministry of Tourism of the Republic of Croatia and the Istria County. 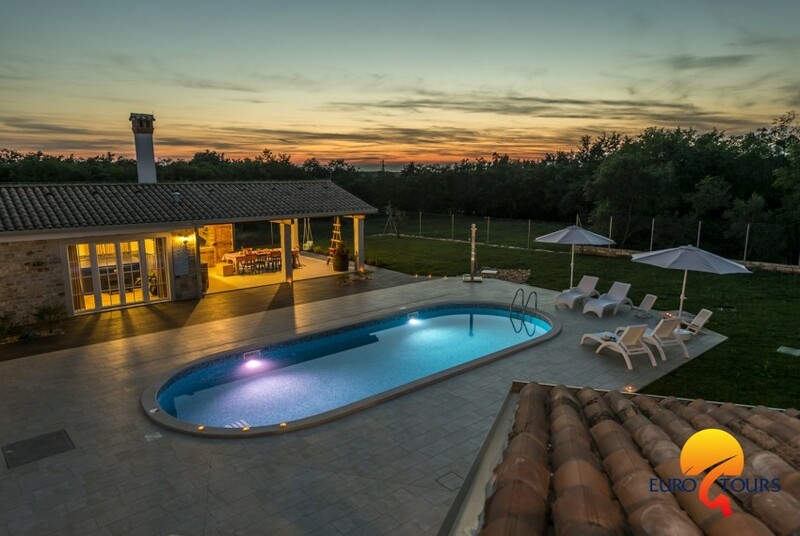 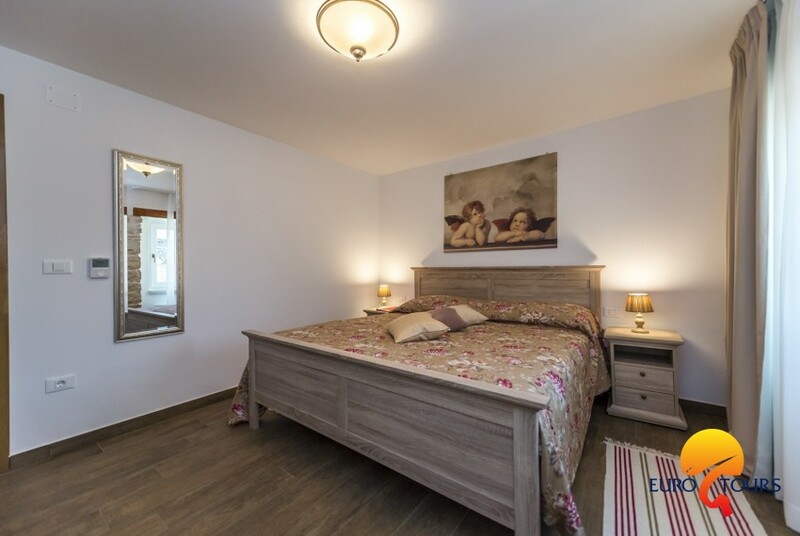 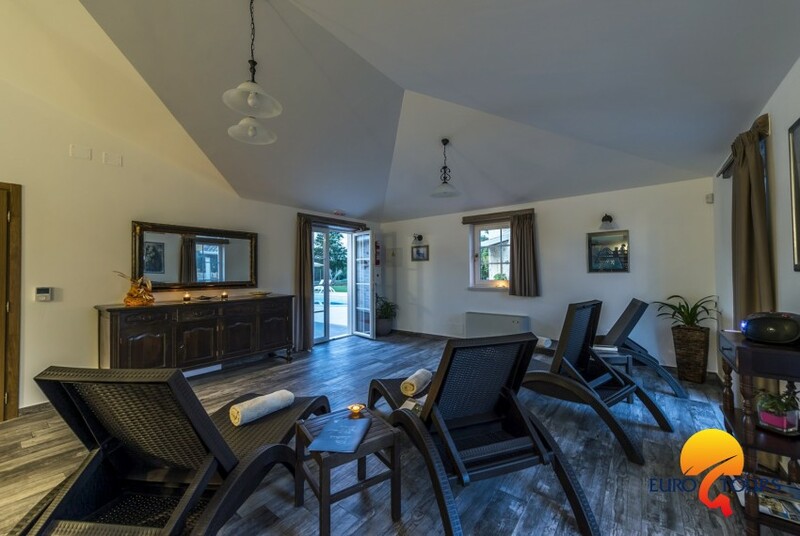 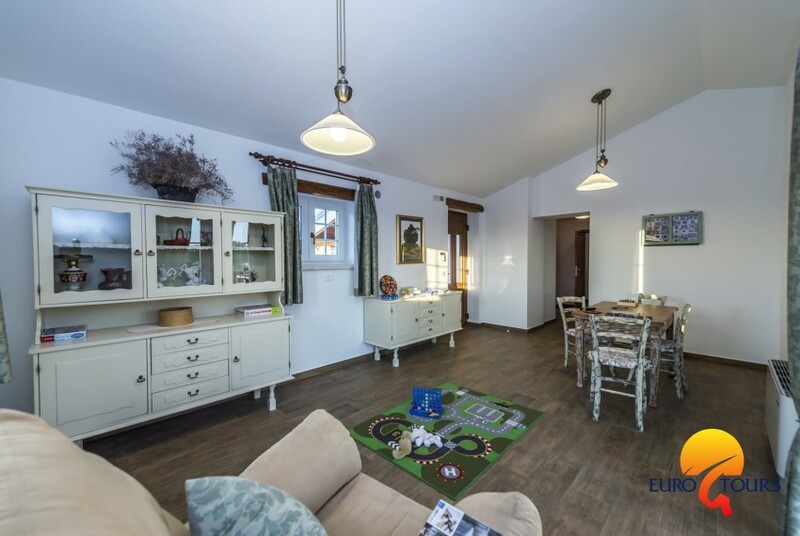 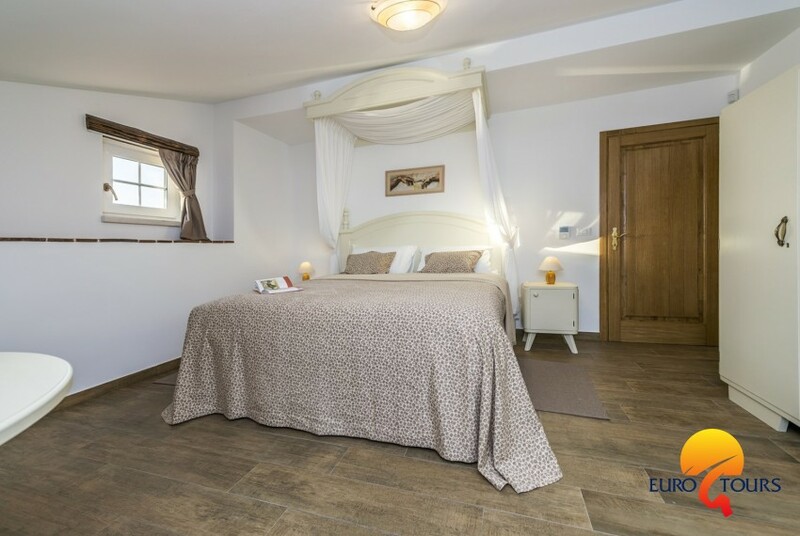 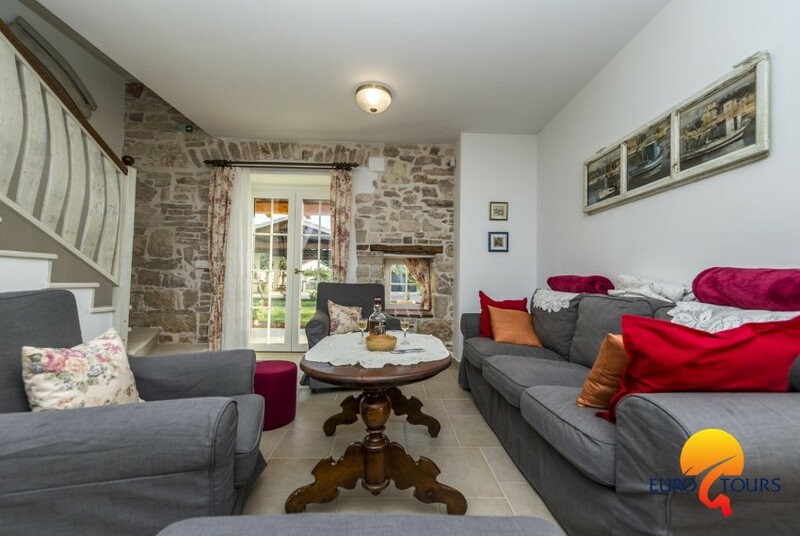 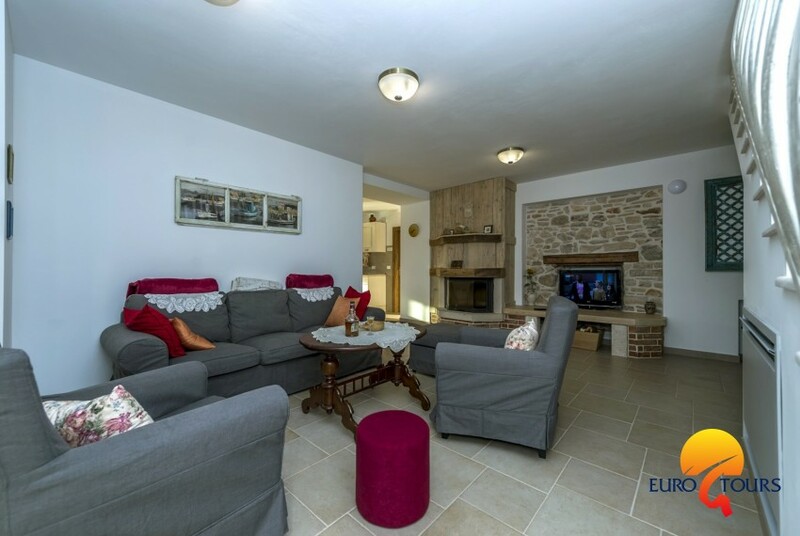 This beautiful villa is a perfect choice for those who wish to spend their holidays in peace and quiet, but also to be near the sea and well known tourist places, such as Umag and Novigrad. 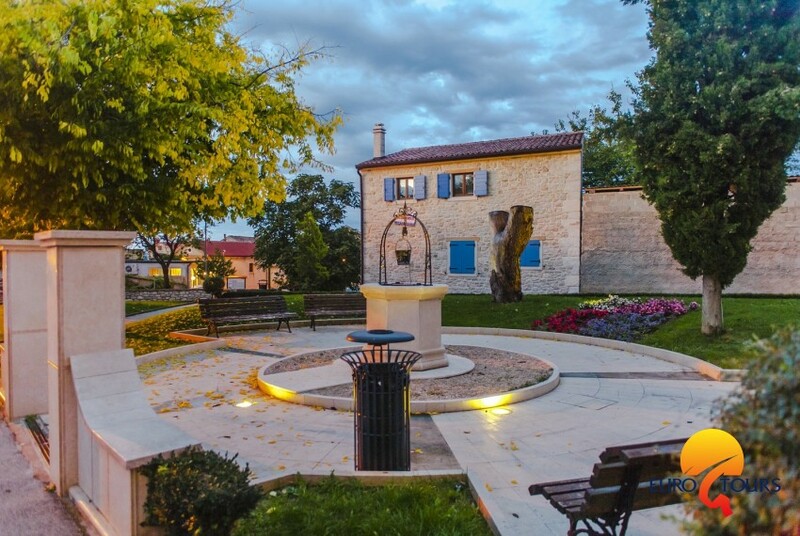 Popular city of Umag is only 8 km from the villa, and it offers plenty of activities that guests can do in their free time. 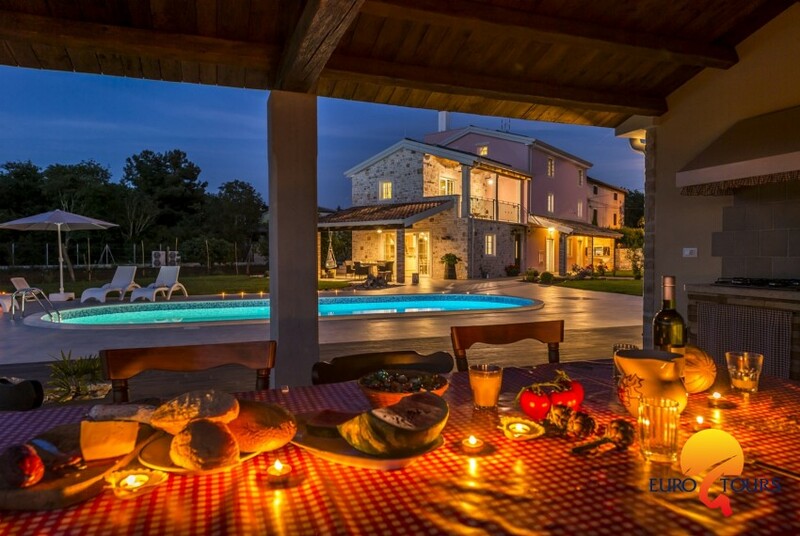 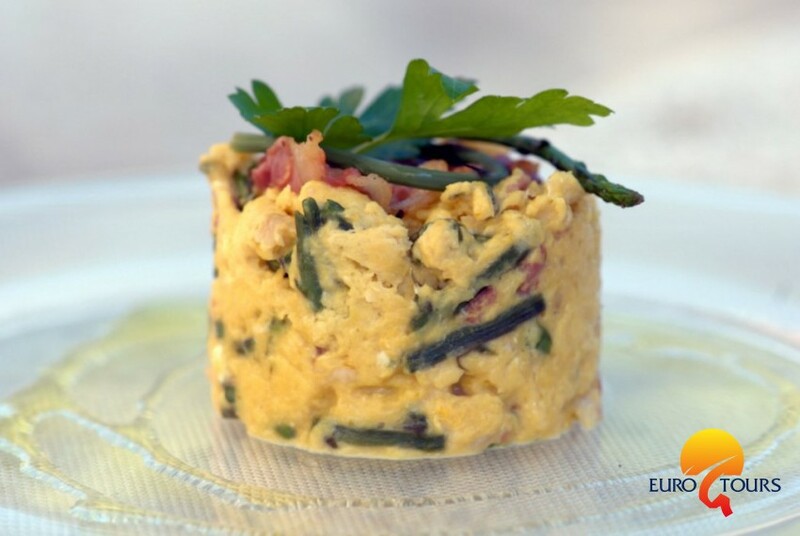 There are lots of restaurants, caffe bars and other tourist facilities in Umag and the surrounding area. 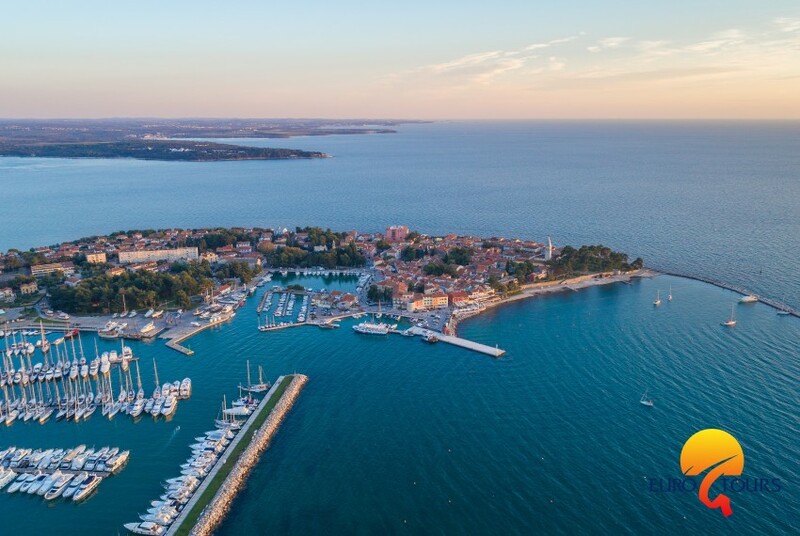 The city of Umag is well known as the town of beautiful beaches, but also as a host of ATP tour where you can see many famous tennis players. 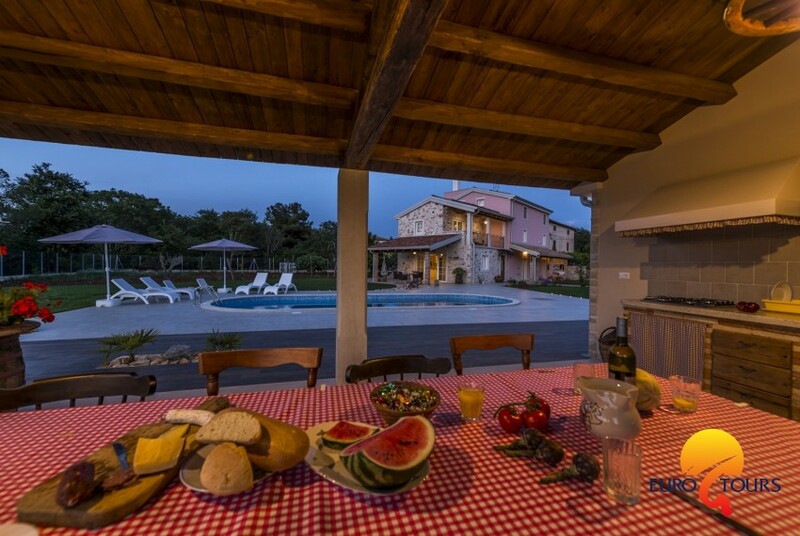 Well known Aquapark Istralandia is also situated close to Umag. 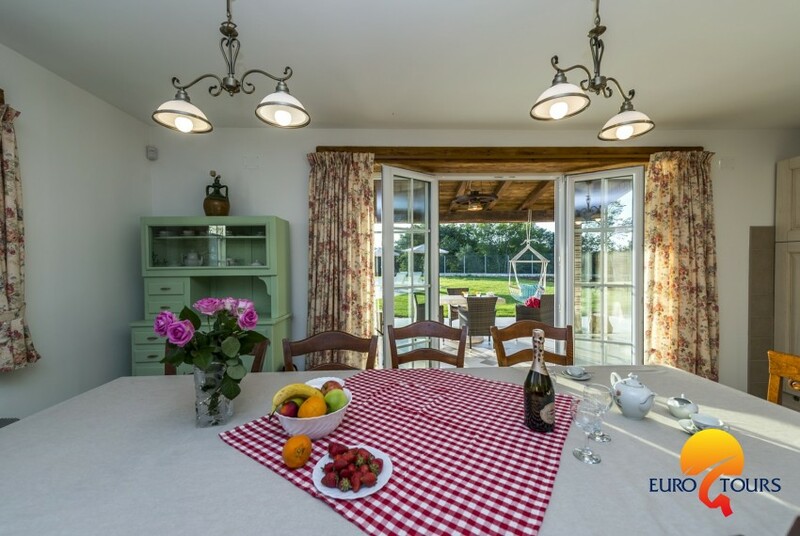 The place is ideal for families who wish to enjoy the sun and water attractions.